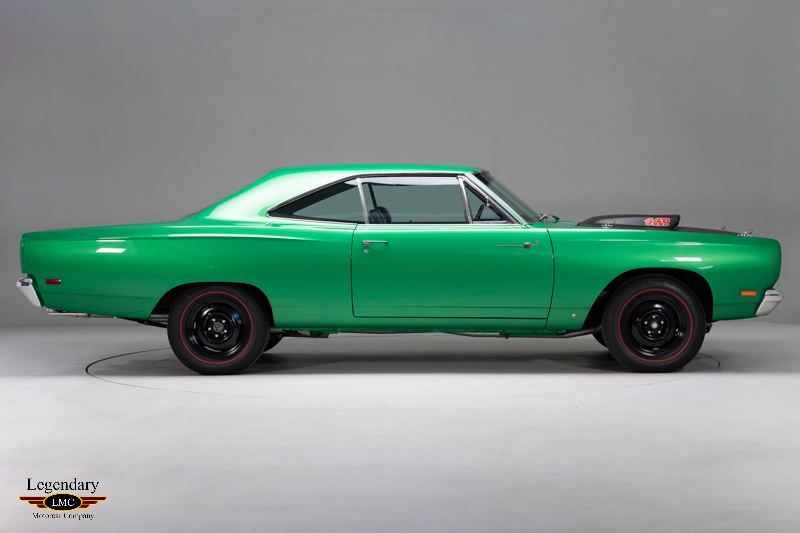 Click any thumbnail below to display the 1969 Plymouth Road Runner slide show. 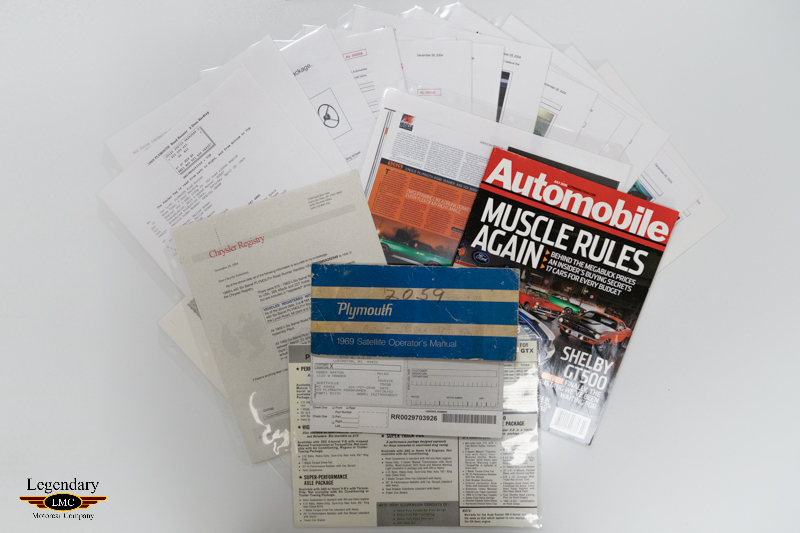 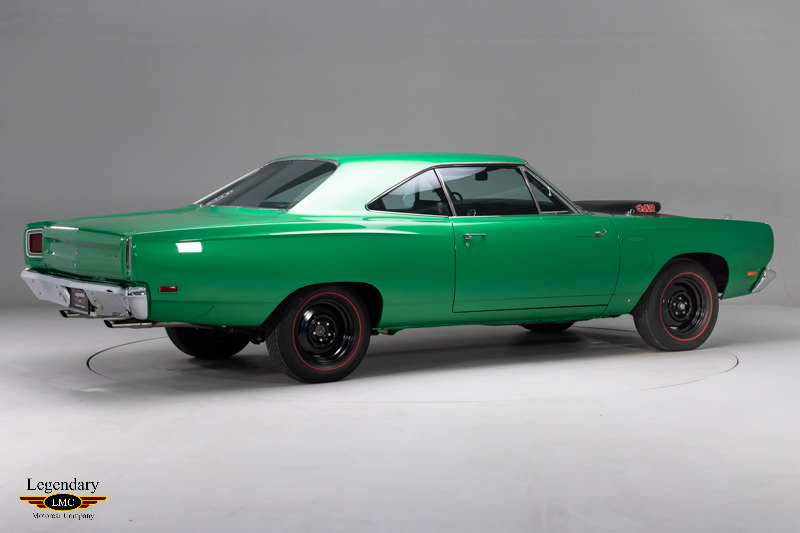 There were not many muscle cars built with the understanding that went into the M-code Chryslers of 1969. 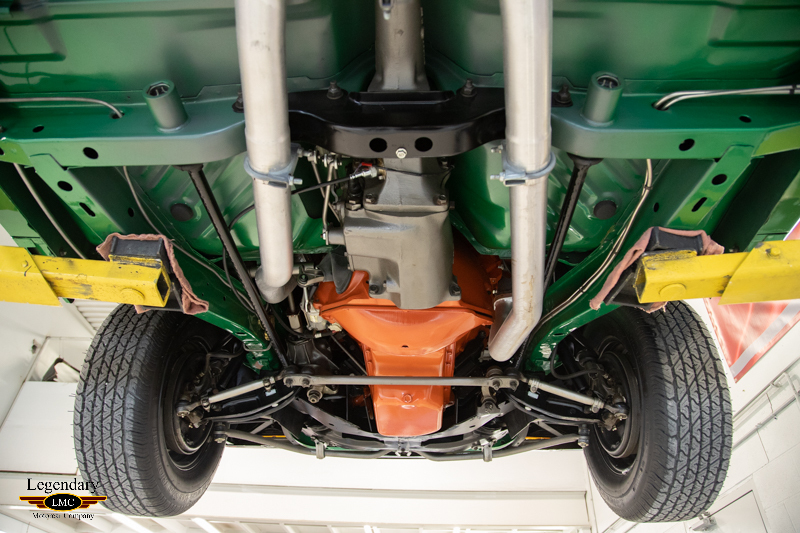 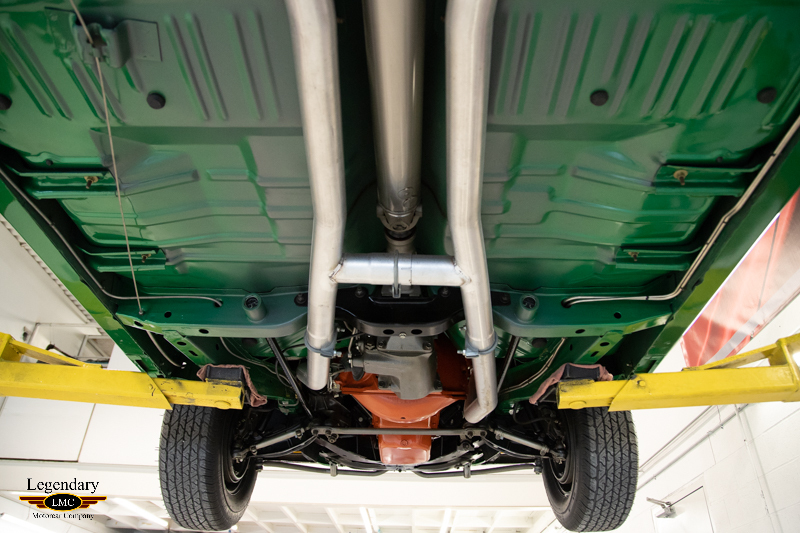 Taking the best of what they already knew, the factory engineers dreamed up an affordable supercar that featured never-before (or again) seen options as part of this code-A12 package. 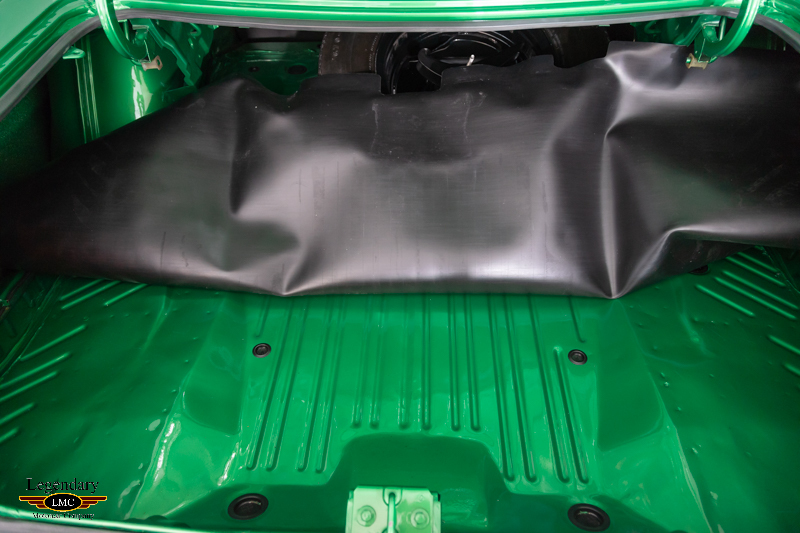 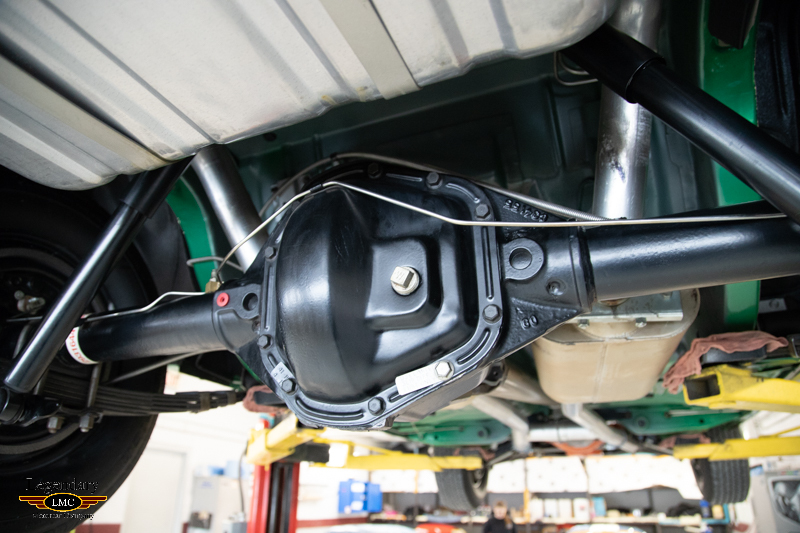 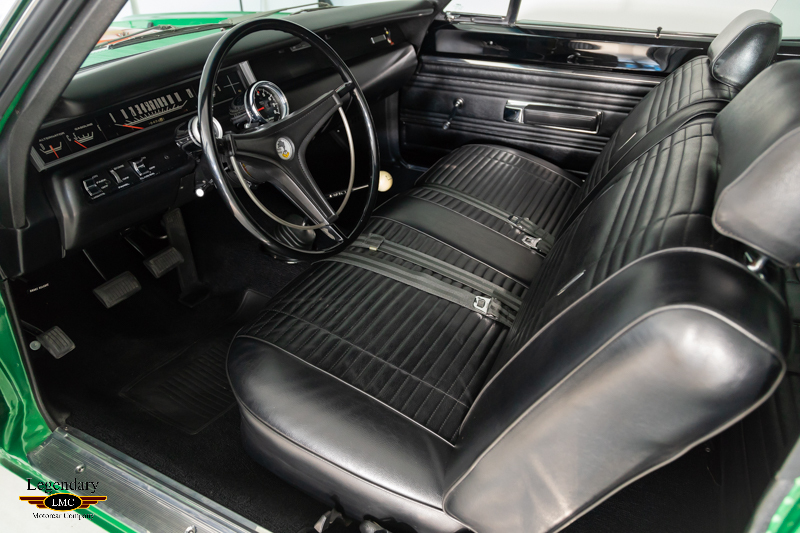 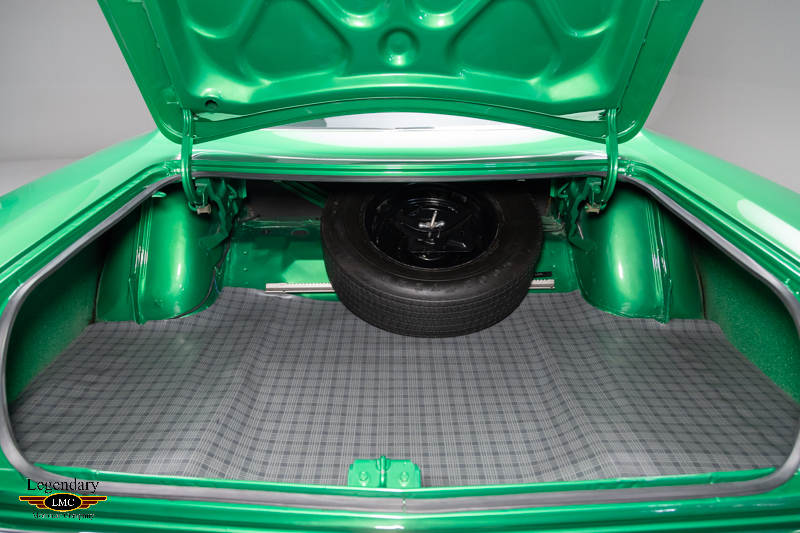 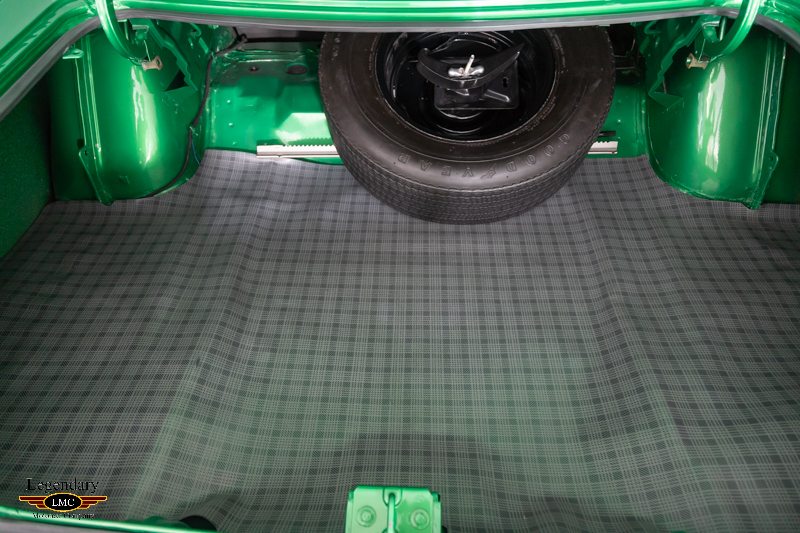 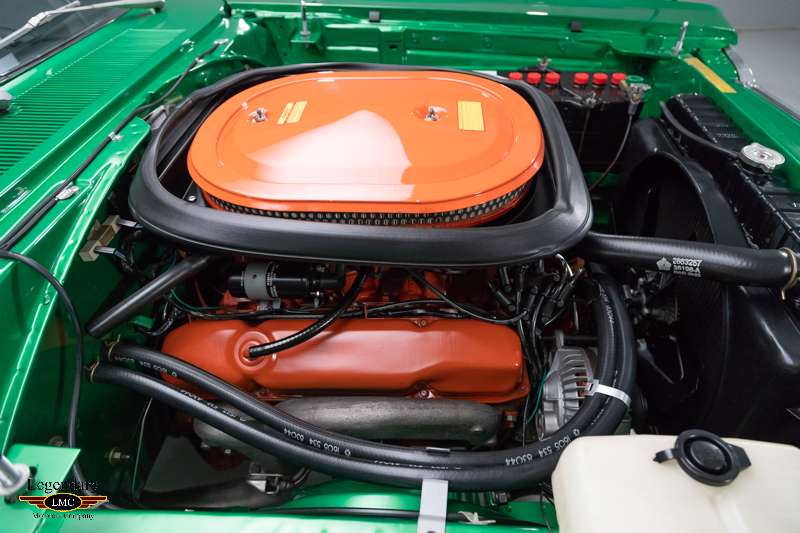 A black lift-off fiberglass hood with an immense scoop that Chrysler engineering had specifically released due to its unequaled effectiveness was key. 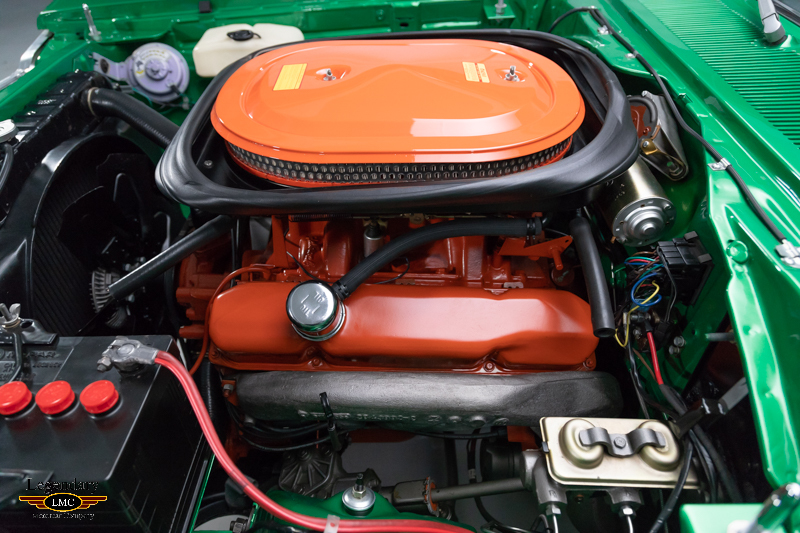 A 440ci engine with beefed-up internals including a forged steel crank and rods, 268/284-degree cam, flat-faced lifters, Moly-filled top piston rings, flash-chromed valve stems, higher-load valve springs, heavy-duty rockers, a Prestolite dual-breaker distributor, Hemi oil pump, viscous drive fan topped by three Holley 2-barrel carburetors with a driveline of Hemi-grade components to handle the extra power. 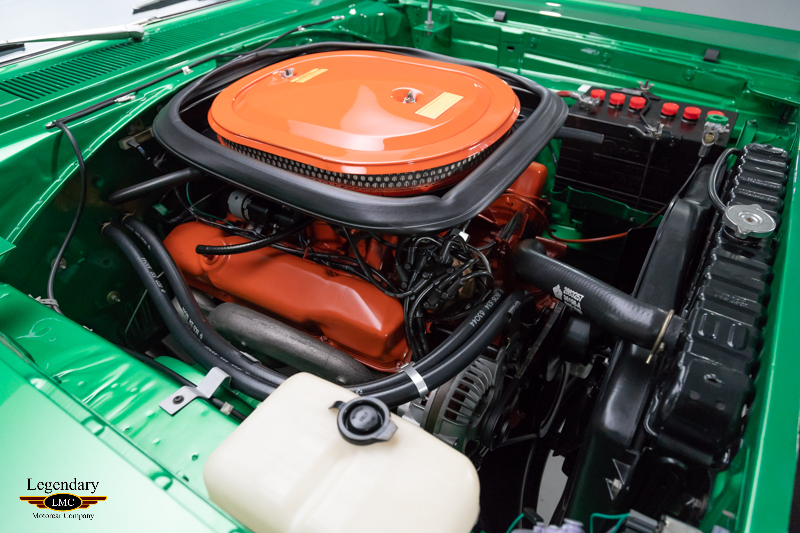 The A12’s strong performance image was backed up with 13-second ETs in street trim and cost about 40 percent less than the Hemi option. 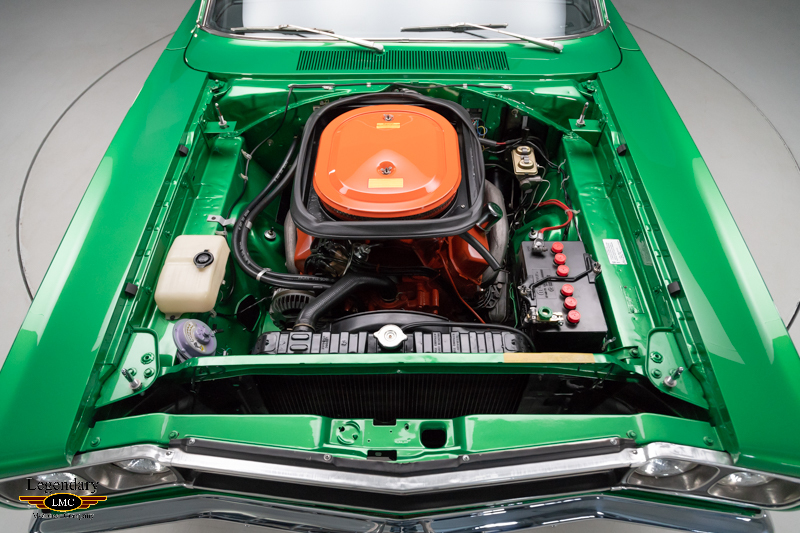 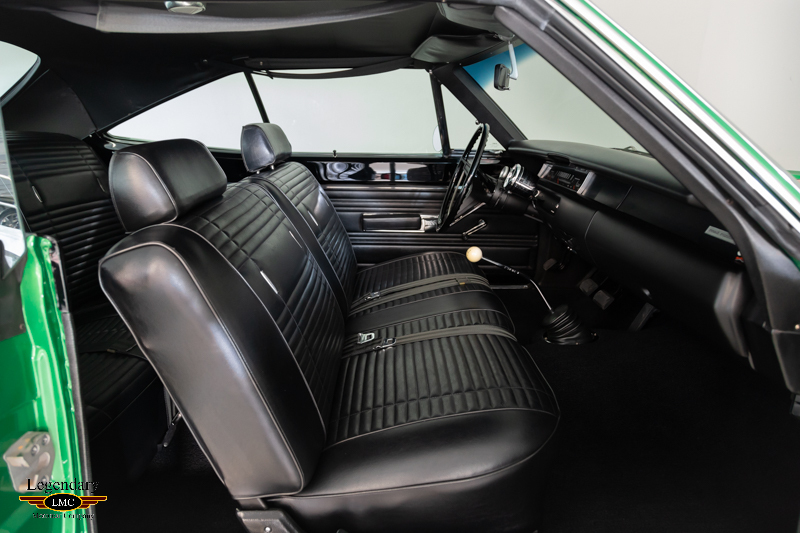 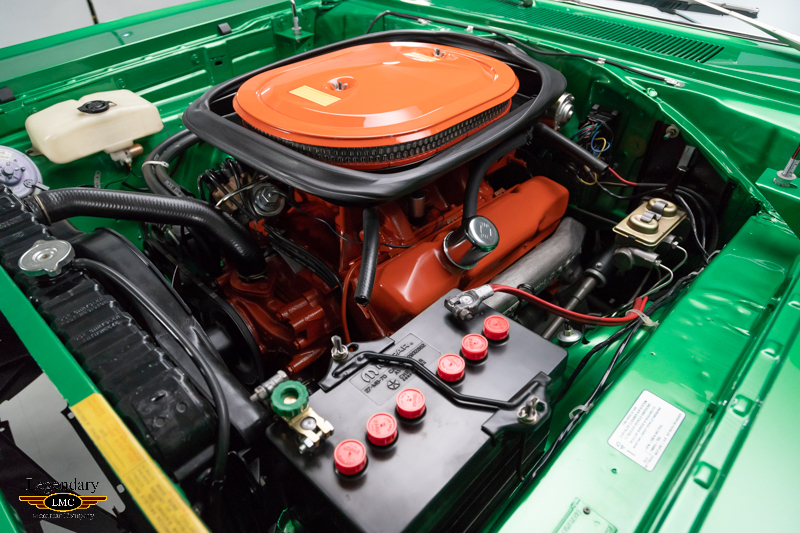 The car offered for sale is an absolutely beautifully restored Rallye Green “M”- code 1969 A12 Road Runner. 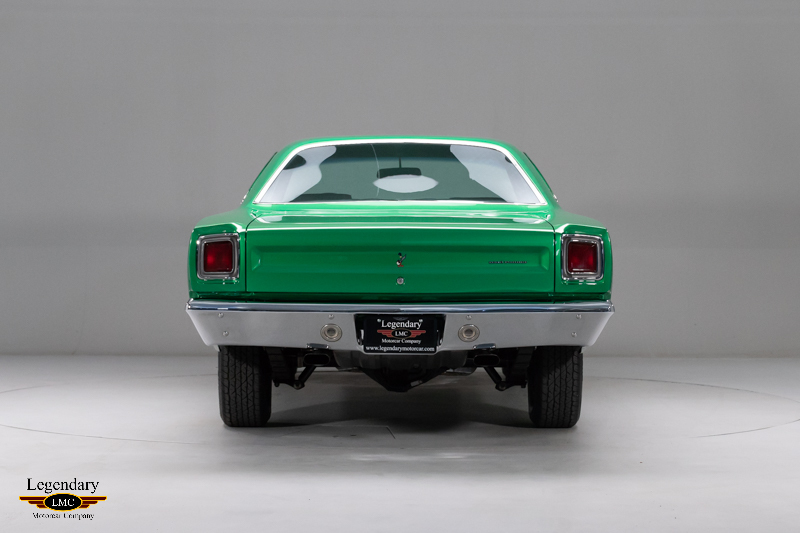 The color alone is quite unique and rare as it came out mid way through production. 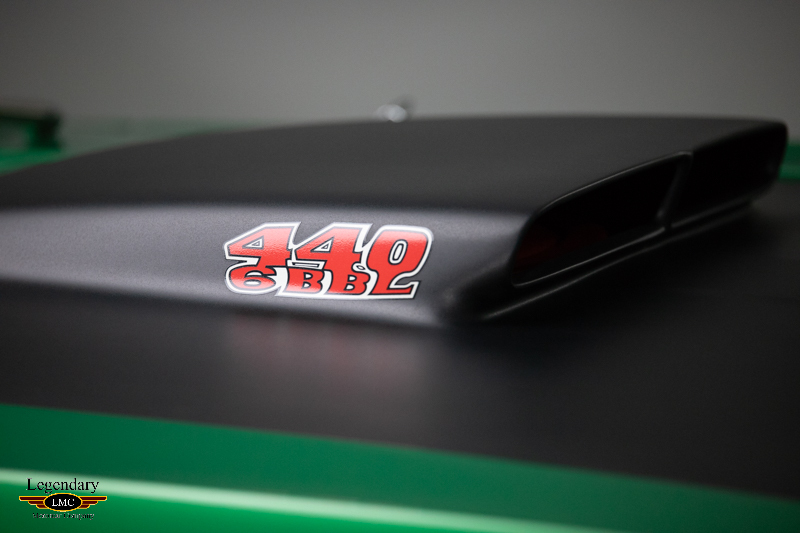 Beneath the mandatory matte-black fiberglass lift-off hood sits the matching-numbers “M” Code 440 CI- 6bbl engine. 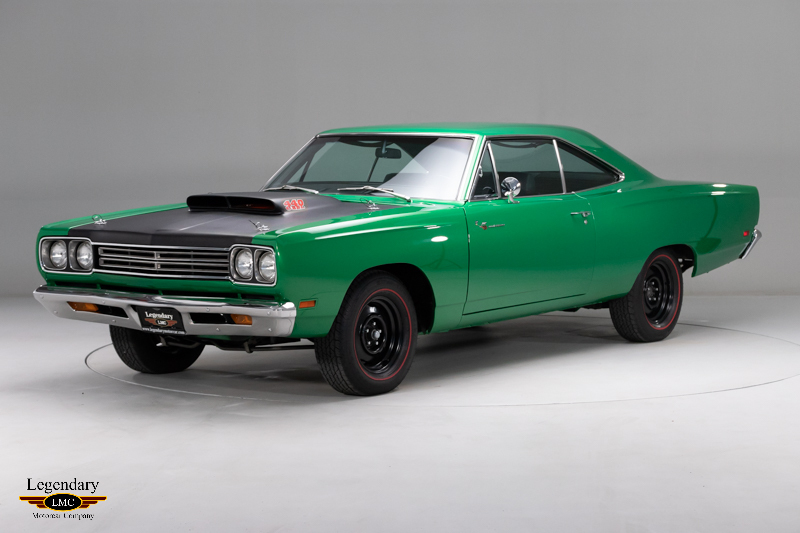 It was factory ordered with the A833 4-speed manual transmission and a 4.10 Dana 60 Sure Grip rear end. 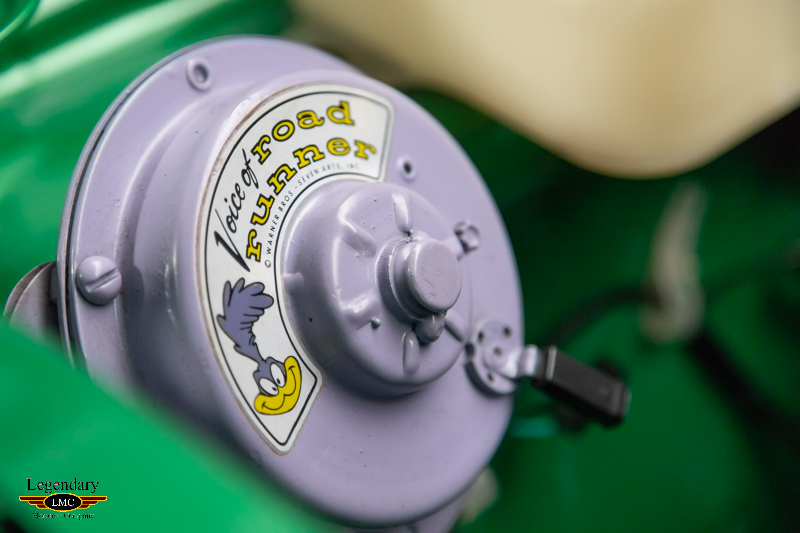 Road Runners were noted for being spartan in additional options and this one was no different. 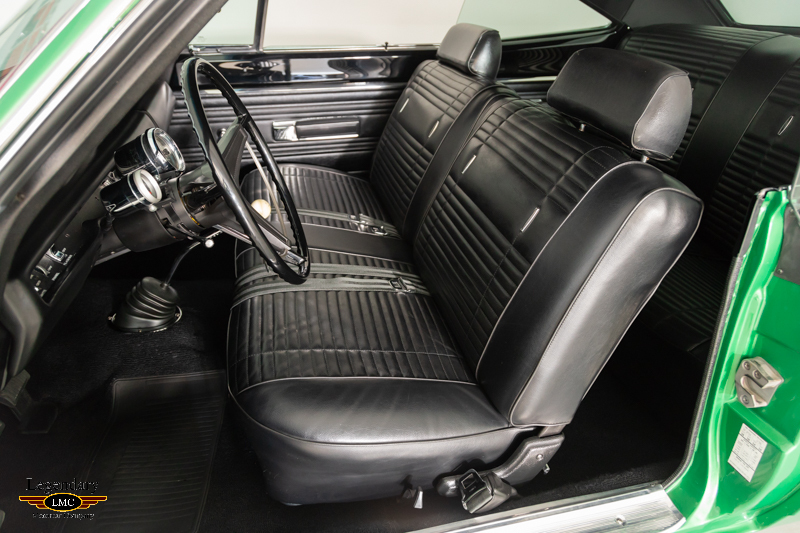 The interior is outfitted with bench seats, tachometer and clock. 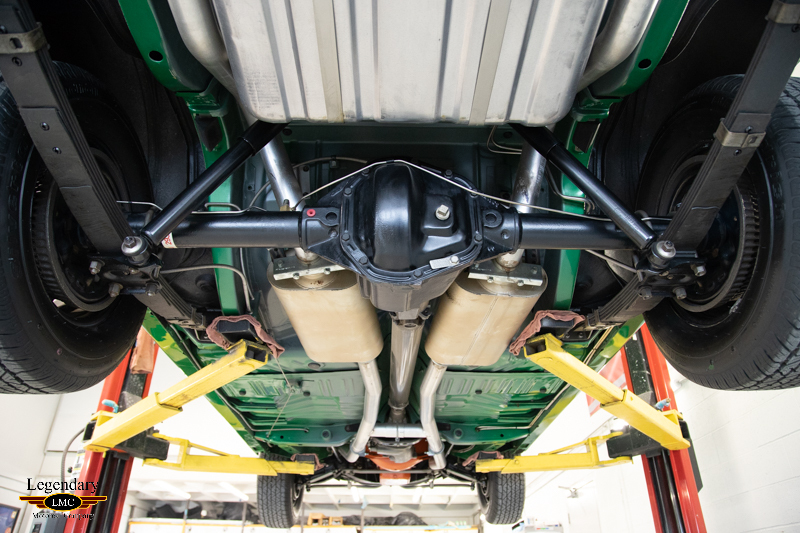 This car has undergone a complete no expense spared rotisserie restoration to show quality standards. 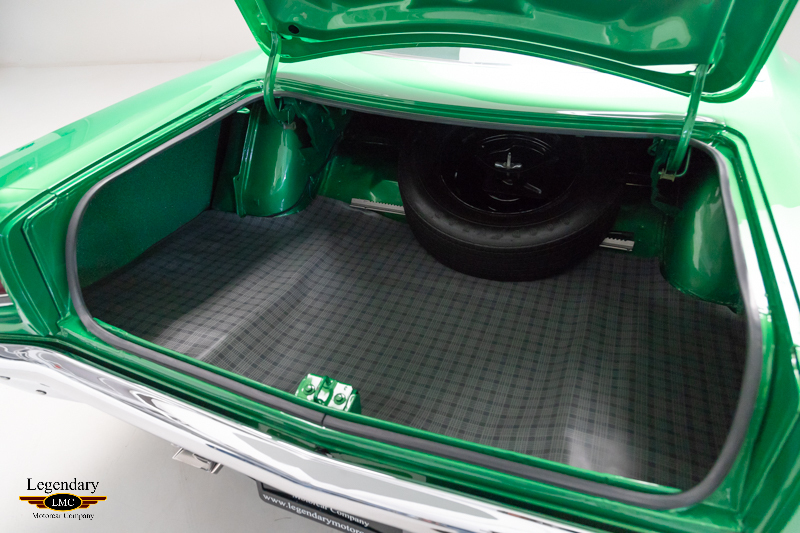 The body was block sanded and panels fitted better than it came from the factory. 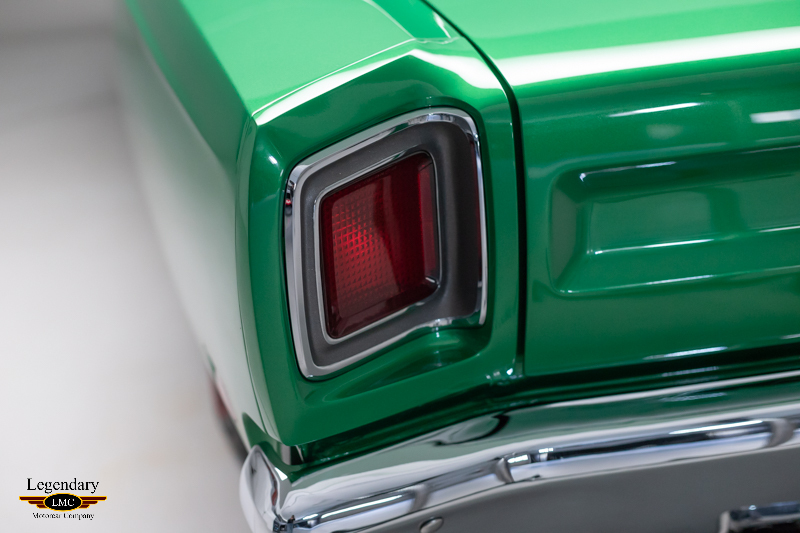 The paint has been wet sanded and polished to a mirror like finish. 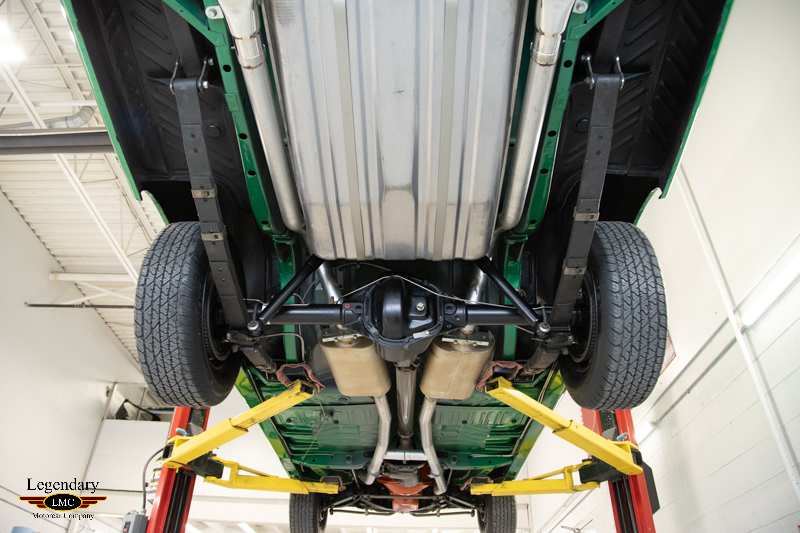 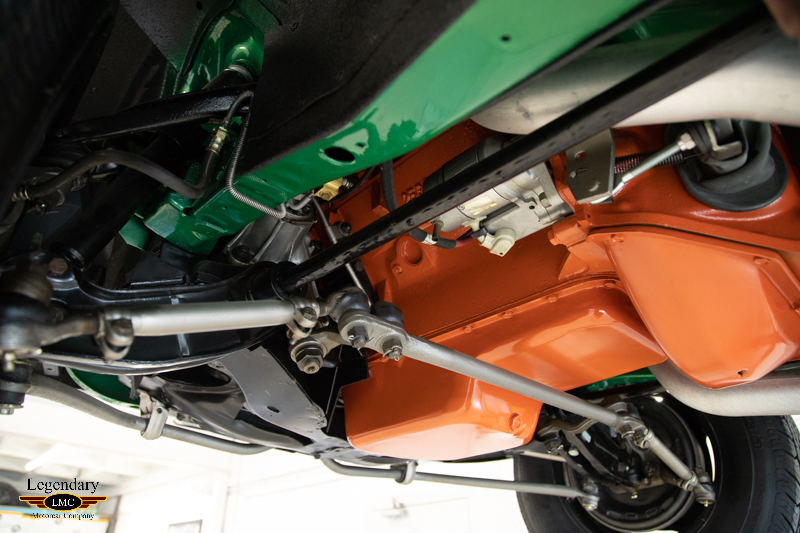 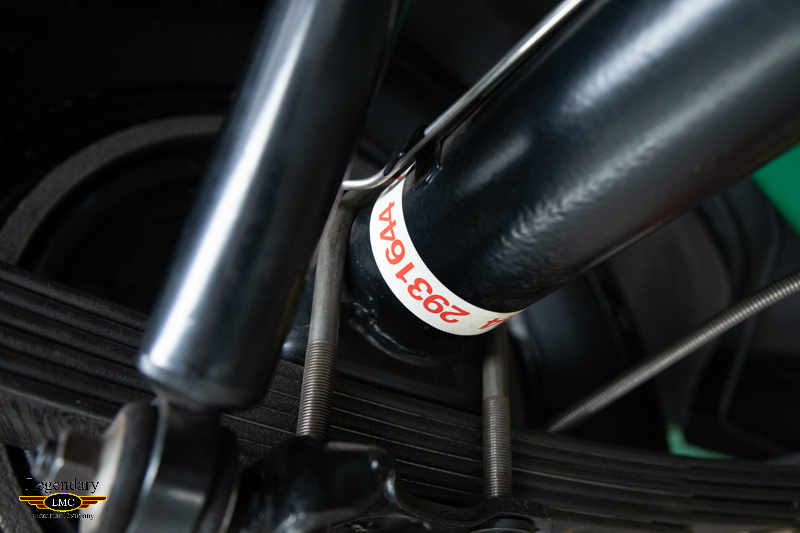 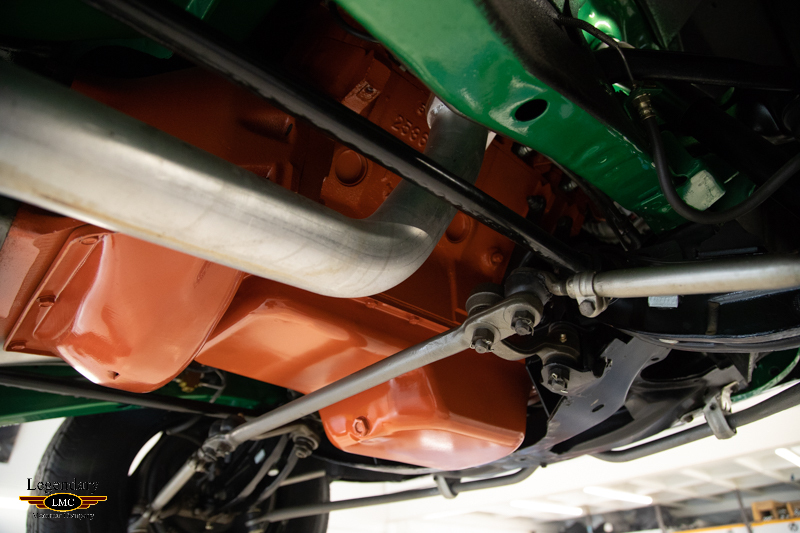 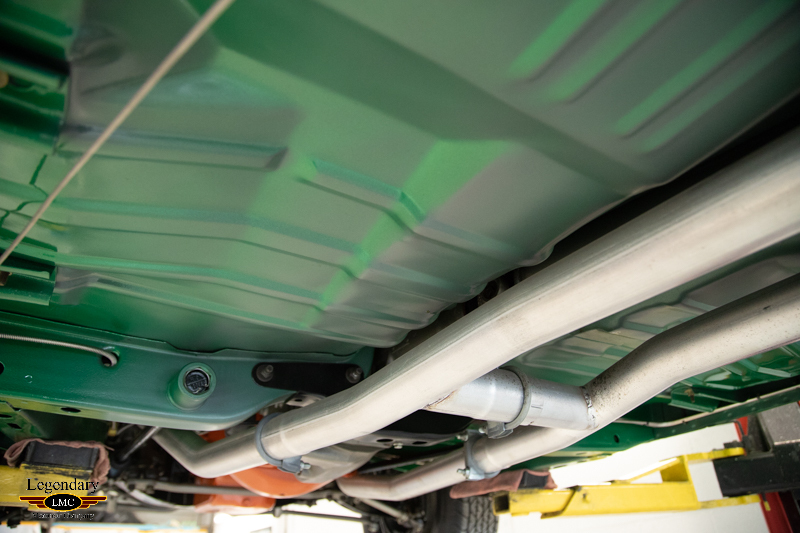 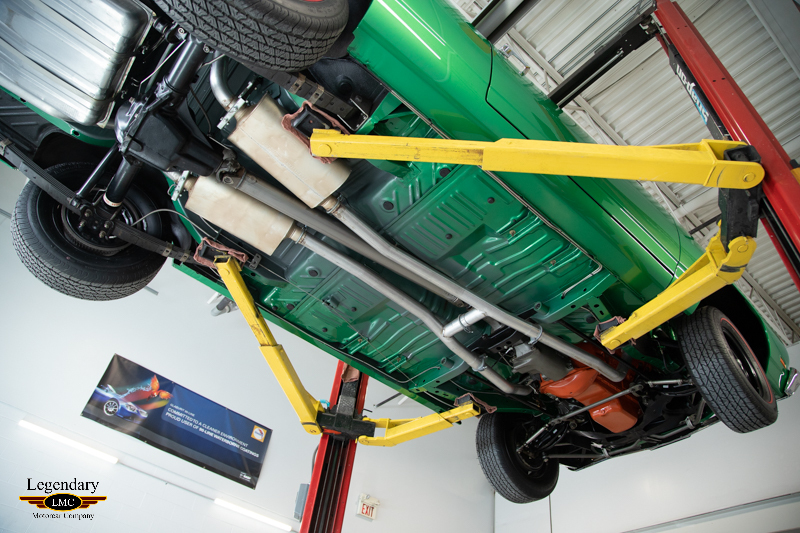 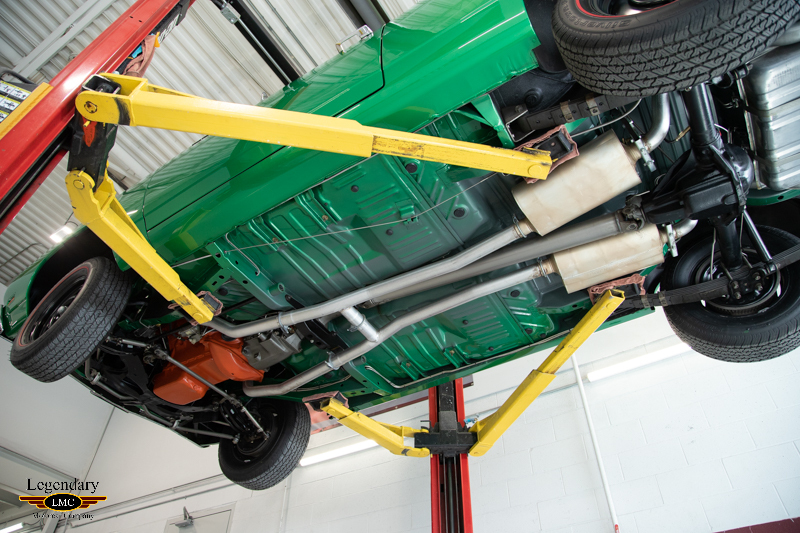 The undercarriage is detailed with correct paint coatings, chalk marks and paint daubs like it was done by the factory. 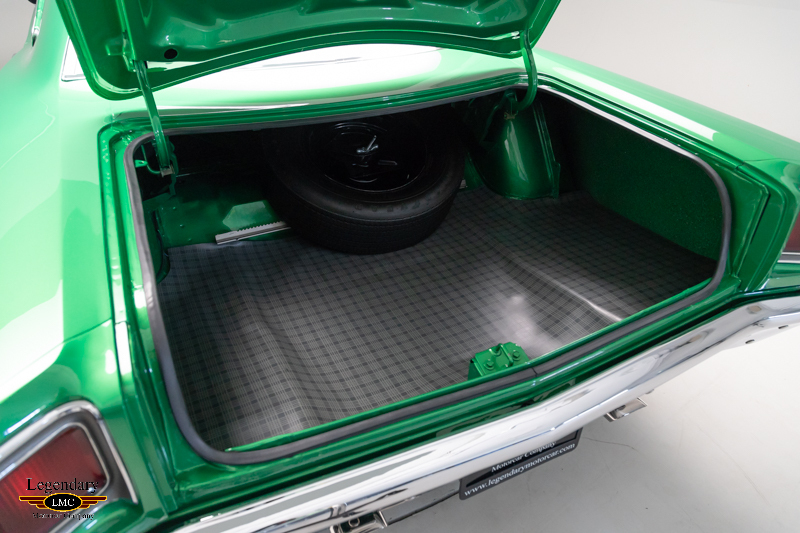 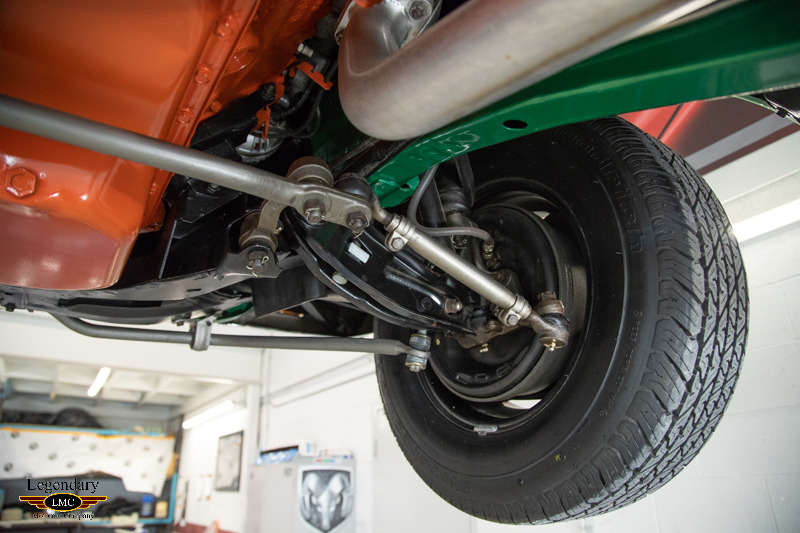 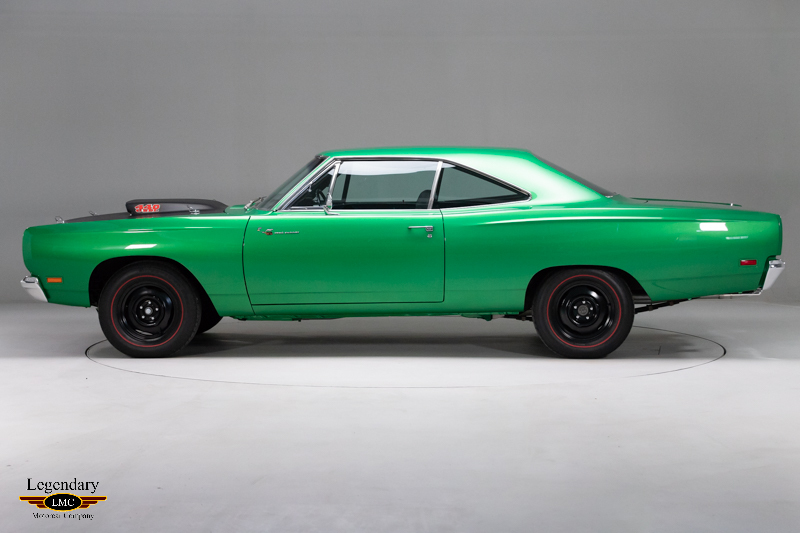 The finishing touch on these first-ever Six Pack Mopars were black 15x6 police-vehicle steel wheels with a set of Firestone redline radial tires, a fitting touch to a machine whose true affinity was more to street racers than the average buyer. 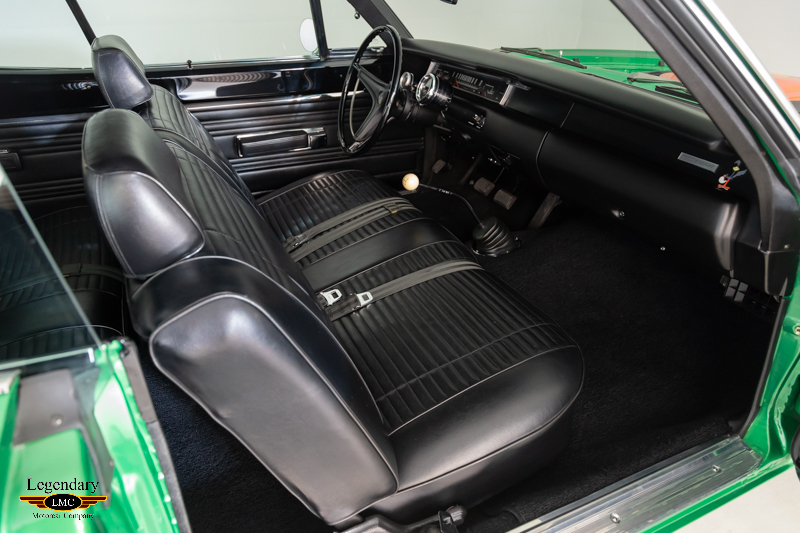 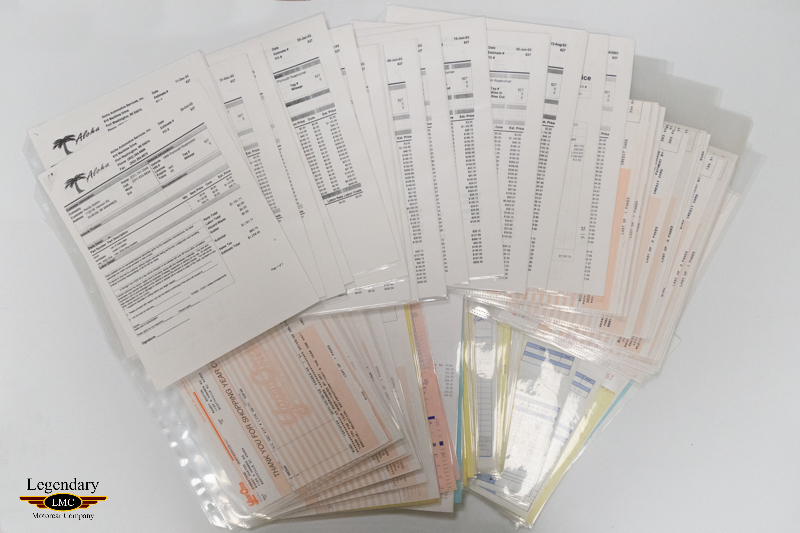 This one is an exceptional restored example that comes documented with a Galen Govier visual inspection, complete fender tag decode, owner’s manual and restoration receipts. 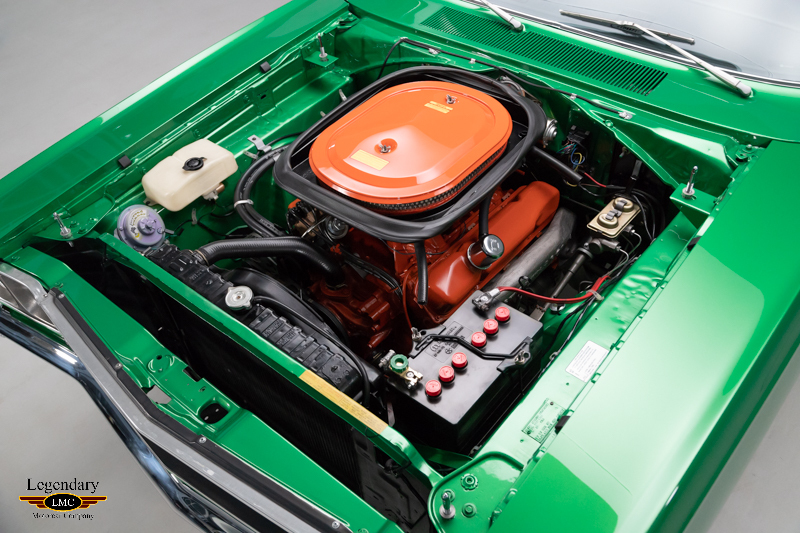 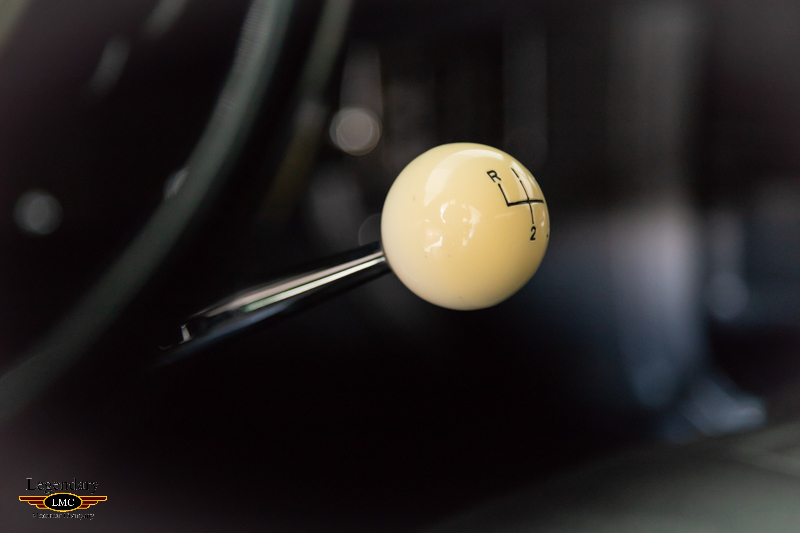 Due to its restoration quality, the car has been featured in an issue of Automobile magazine. 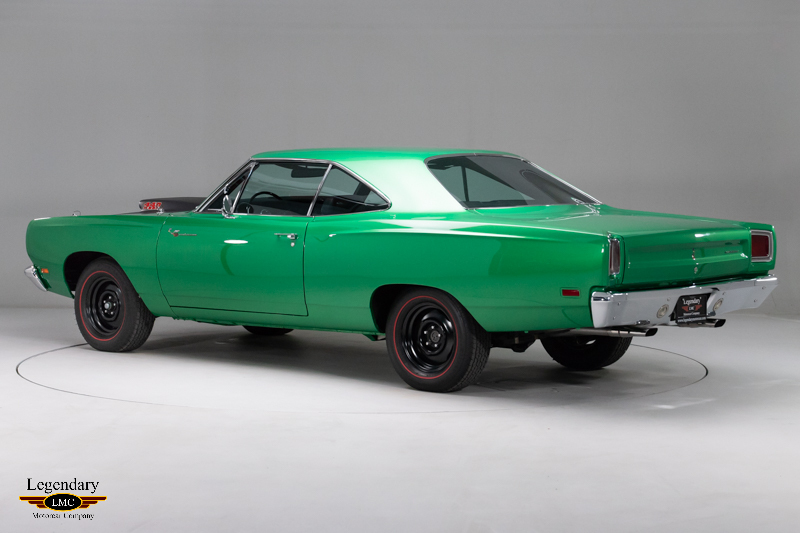 With only 422 four speed cars ever produced, this ultra-rare Mopar should be on the top of any collector’s list. 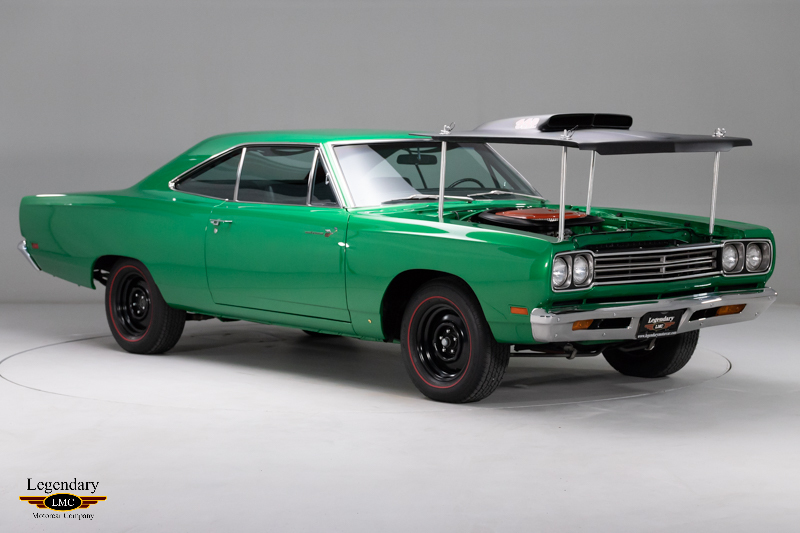 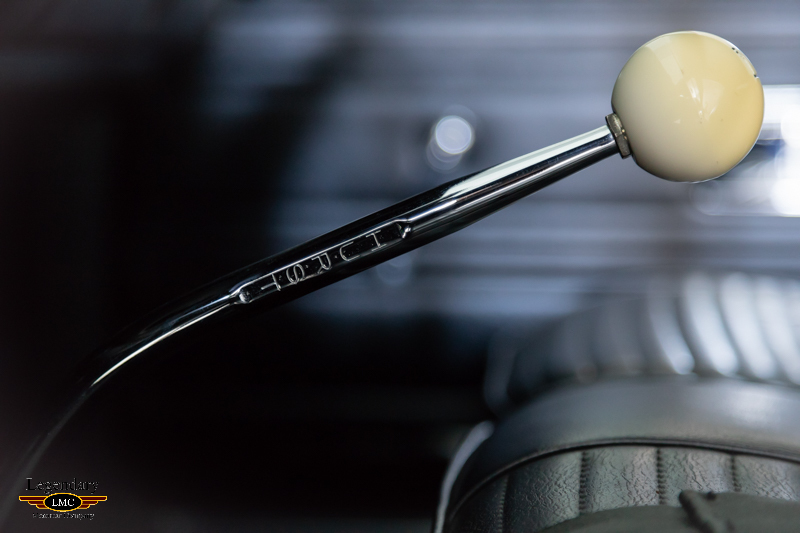 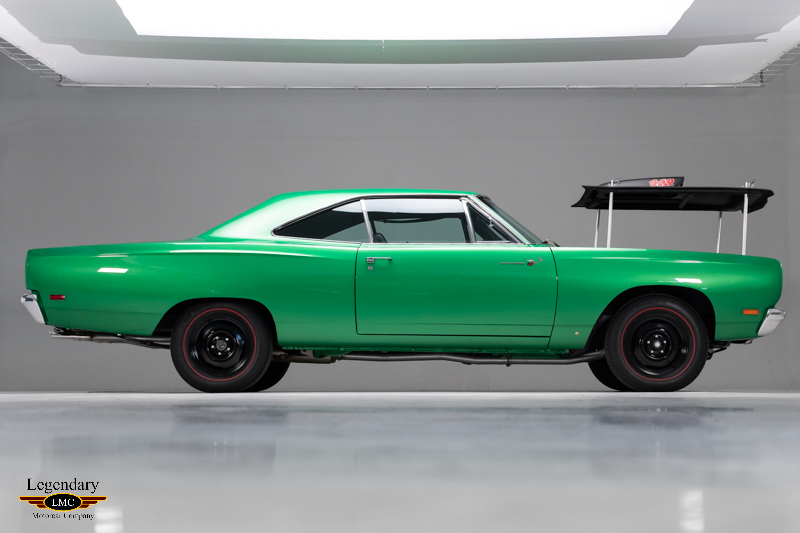 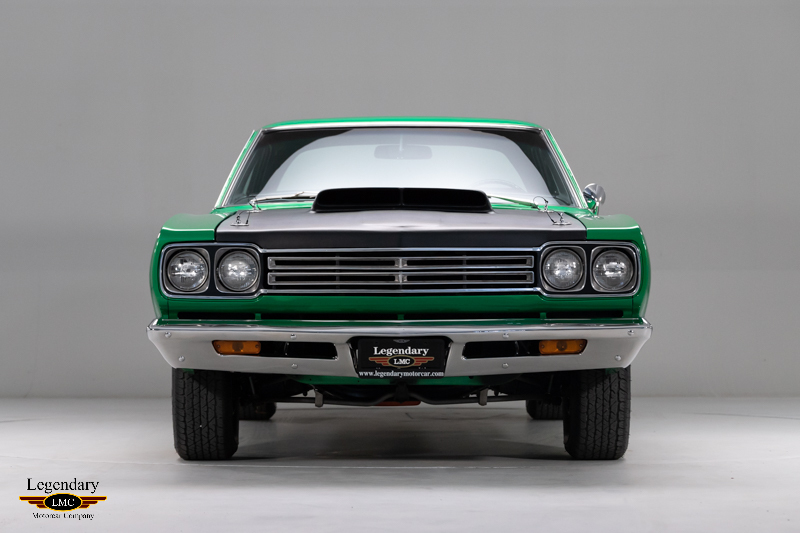 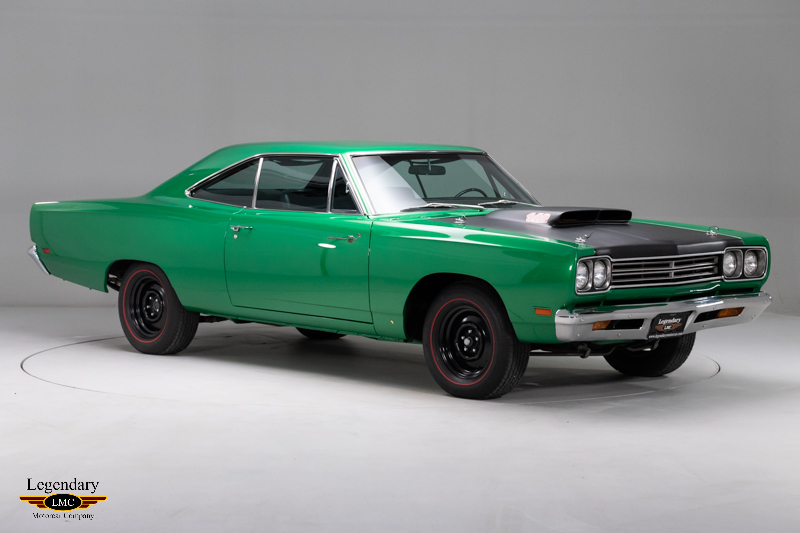 Legendary-Motorcar-Company-Ltd-2019-021 Plymouth 1969 Plymouth Road Runner 2019-021 0 Legendary Motorcar Company Ltd.